We often end up deleting some of our important data from our computer. Even sometimes our flash drives get corrupted, and we end up losing valuable data. However, the good part is that when we delete something from our computer well, it does not get deleted completely. Instead, Windows makes the space available. But in the background, it changes one character in the file table and as a result, it does not show up. This is also the reason why file recovery is possible. And when it comes to file recovery, EaseUS data recovery software is the best one out there in the market. So the question is how to recover data using EaseUS data recovery software? Well, in case if you are wondering the same thing, then let me answer the question for you. However, before we do so let us give you a quick introduction to the EaseUS Data recovery software. So without wasting any further time, let’s dive right in! The EaseUS Data Recovery software is one of the most popular yet professional data recovery software available out there. The software can recover accidentally deleted files, files from damaged flash drives or pen drives, or from formatted hard drives. You can use the EaseUS Data Recovery software to recover data from your hard drive, USB drives, memory cards, and other storage devices. Also, the best part of the software is that it is free to download and use. However, the free version of the application can only recover data up to 2GB. In case if you need more storage, then you will have to get the Pro plan. 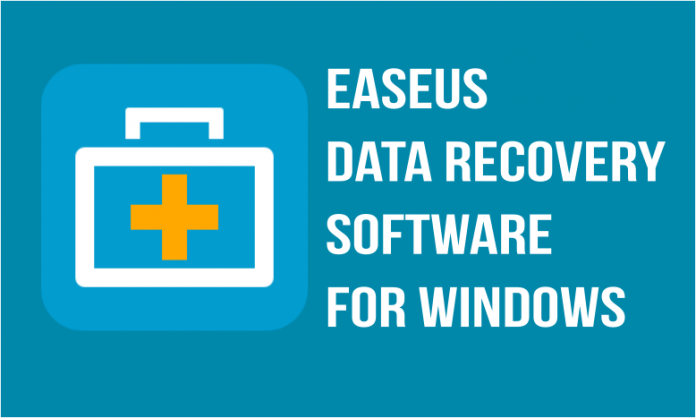 EaseUS Data Recovery software is also available for Windows and Mac computers. Now that you have downloaded the software to your computer. The next question is How to recover data using EaseUS data recovery software? Well before we answer the question, go ahead and install EaseUS Data Recovery Software to your PC first. Installing the software is a very easy process all you need to do is double click on the file that you have downloaded and accepted the license agreement. How to recover data using EaseUS data recovery software? Step 1: First of all launch the EaseUS Data Recovery Software. Step 2: Now you will find a list of all the drives including pen drive or any other storage device. Step 3: Simply select the drive that you would like to recover. Step 4: Then click on the Scan button. Step 5: Now from the sidebar select the files that you would like to recover. For example, we have selected Rich Text Documents. Step 6: After that click on the recover button. Step 7: Then simply select the output folder and wait for a couple of minutes. That is it. Once the whole process is completed, open the output folder, and you will find all the files that you have recovered. So that was all for your query on how to recover data using EaseUS data recovery software. Now go ahead and check out this data recovery software and see how it is working for you. Also for any questions, feel free to comment down below, and we will surely help you out.